Separatists owe 124m hryvnya in back utility bills. Luhansk Energy Association on 2 December cut the units of Petrivsk pumping station that supplied water in the direction of Luhansk to the self-proclaimed "LPR", local regional administration said in a report. The cut-off was due to 124m hryvnya bebt in back electricity bills of Popasna Water Company. PWC supplies potable water to 80 thousand residents of Luhansk Region, who live in the territory controlled by the Ukrainian authorities, and 1.2m inhabitants of temporarily occupied territories, but does not receive any payment for its supplies. The costs the utility company in 2016 have reached 242m hryvnya, of which 230m hryvnya was for the water supplied to the temporarily occupied territory of Ukraine. Luhansk Regional State Administration during 2015-2016 has allocated 74.5m hryvnya to support PWC, but is short on funds to further keep the company afloat. Given the emergency situation with drinking water in the region, the International Committee of the Red Cross paid the company's 13.9m hryvnya electricity bills and stated plans to settle the balance for November 2016. Previously, the tripartite contact group in Minsk has agreed to establish the New Source of Life company to help resolving the situation. On August 25 PWC and NSL signed a contract on centralized drinking water supplies, under which the payments should have started in 4 September, but no bills have been paid ever since. Ukraine's Luhansk Regional Administration said water supplies will resume only upon full settlement of water bills by the "LPR". 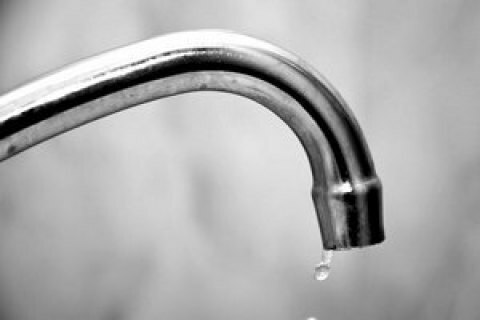 On 23 November, deputy Minister for Temporarily Occupied Territories Heorhiy Tuka warned that Ukraine would cut water supplies to the "LPR" unless separatist authorities settle the accumulated water bills. On December 1, Tuka stated that water supplies to the "LPR" would continue solely "as agestureofgood will" of the Ukrainian side.